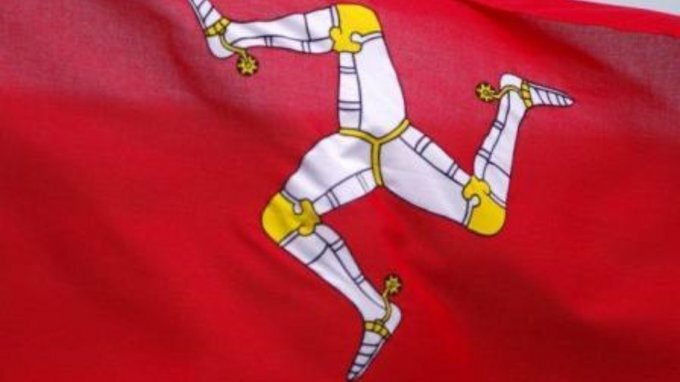 Today is Tynwald Day (Manx: Laa Tinvaal) the National Day of the Isle of Man, an independent nation within the British Isles. On this day, the Island’s legislature, Tynwald, meets at St John’s, instead of its usual meeting place in Douglas. The session is held partly in the Royal Chapel of St John the Baptist and partly in the open air on the adjacent Tynwald Hill (a small artificial mound). The meeting, the first recorded instance of which dates to 1417, is known as Midsummer Court. It is attended by members of the two branches of Tynwald: the House of Keys, and the Legislative Council. The Lieutenant Governor, the representative of the Lord of Mann (currently queen Elizabeth), presides except on the occasions when the Lord of Mann or another member of the British Royal Family is present. All bills that have received Royal Assent are promulgated on Tynwald Day; any Act of Tynwald which is not so promulgated within 18 months of passage ceases to have effect. Other proceedings include the presentation of petitions and the swearing in of certain public officials. Since the first recorded Tynwald Day in 1417, Tynwald Day had traditionally been held on 24th June, which is the feast day of St John the Baptist and also Midsummer’s Day. In 1753, the Isle of Man legislated to replace the Julian Calendar with the Gregorian Calendar after Great Britain had done so in the previous year: making a difference of 11 days. But the legislation retained the Julian Calendar for the purpose of determining Tynwald Day: it provided that “Midsummer Tynwald Court shall be holden and kept … upon or according to the same natural Days upon or according to which the same should have been so kept or holden … in case this Act had never been made.” Hence Tynwald Day occurred on 24th June in the Julian Calendar, but on 5th July according to the Gregorian Calendar. It was not subsequently moved back to 7 July, even though the Gregorian Calendar is now 13 days ahead of the Julian Calendar because the Gregorian Calendar had no leap day in 1800 or 1900. 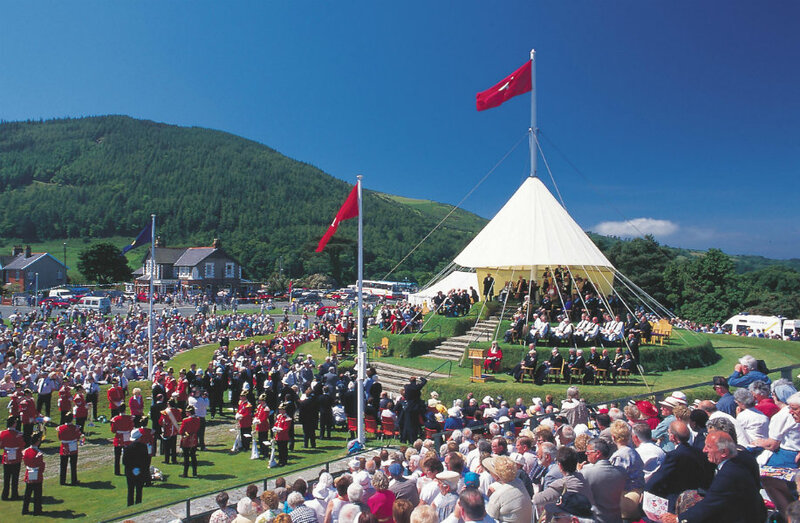 If Tynwald Day occurs on a Saturday or Sunday, it is normally commemorated on the next Monday, as happened in 2008 and 2009. Midsummer Courts were sometimes presided over personally by the Lords of Mann, but more often by his/her representatives, as the Lords of Mann were often British aristocrats or monarchs who were not resident in the island. After the Duke of Atholl presided in 1736, over two centuries passed before a Lord of Mann participated in Tynwald Day ceremonies. 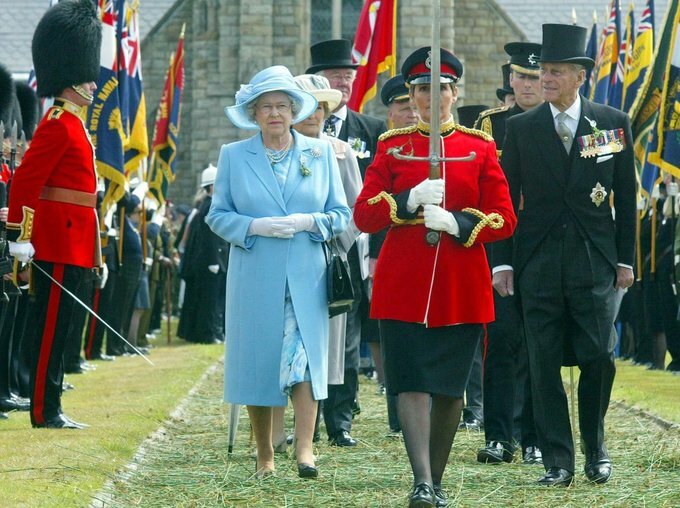 George VI presided in 1946; his successor Elizabeth II presided in 1979 (the millennial anniversary of Tynwald’s establishment) and again in 2003. Occasionally another member of the Royal Family may preside, as HRH Prince Edward did in 1986, and HRH The Prince of Wales did in 2000. Some individuals are invited to attend as Guests of Honour. Guests of Honour include representatives of the United Kingdom and of other nations, usually including the Republic of Ireland and some Scandinavian countries. In recent years, Scotland, Wales and Northern Ireland have sent separate representatives, in addition to those for the United Kingdom. Notable guests in recent years have included: Lord Waddington (1998), The Lord Williams of Mostyn (1999), Dr Rory O’Hanlon (1999/2005), Senator Liam T. Cosgrave (2002), HM The King of Norway (2002), The Lord Steel of Aikwood (2002), The Rt Hon. Jack McConnell and the British Lord Chancellor Charles Falconer, Baron Falconer of Thoroton (2003). Other participants include clergymen, leaders of local governments and several other officials, including all the State Officials of the Isle of Man. All participants wear bollan bane, otherwise known as mugwort. Detachments and bands from the Constabulary and the military also take part in the ceremony, which is also attended by members of the general public. Before Tynwald sits, the individual presiding inspects the Guard of Honour and lays a wreath at the National War Memorial, which was inaugurated in 1923. A foreign head of state attending the ceremony may accompany the Lieutenant Governor, as HM The King of Norway did in 2002. At 11 o’clock, Tynwald convenes in the Chapel of St John the Baptist for a religious service. Thereafter, they proceed to the adjacent Tynwald Hill. The path is strewn with rushes; the tradition is (possibly) traceable to the Celtic custom of propitiating the sea god Manannan by offering bundles of rushes on Midsummer’s Eve. The path is lined with numerous flagpoles, which fly both the red national flag and the blue parliamentary flag. The first procession includes clergymen and certain government officials. The second procession, known as the Tynwald Court Procession, follows; in order, it comprises the officers of the House of Keys, the members of the House of Keys, the Chief Minister of the Isle of Man, the Speaker of the House of Keys, a messenger of the House of Keys, officers of the Legislative Council, members of the Legislative Council, the Attorney General, the Deemsters, the Bishop of Sodor and Man, the President of Tynwald and a messenger of the Legislative Council. Thereafter, two guards, the Sword-bearer, the Presiding Officer and the Lieutenant Governor (if not presiding). Er Laa Tin Vaal ta sleih cheet voish dy chooilley ard jeh Mannin dy chlashtyn ny slattyssyn focklit magh. Ta ny shenn tosheeyioarree livrey ny slattyn oc da’n Chiannoort, as ta’n chied vriw loo ny feallagh noa stiagh. Eisht ta dy chooilley hoshiagh-jioarey gliooney sheese roish yn Chiannoort, as goaill yn tlat echey veih laueyn yn Chiannoort. Ta toshiaghjioarey Glenfaba lhaih ny slattyssyn ayns Gaelg. On Tynwald Day people come from every part of the Isle of Man to hear the laws pronounced. The six old coroners deliver their rods to the Governor, and the first Deemster swears the new coroners in. Then every coroner kneels down before the Governor, and takes his rod from the hands of the Governor. The coroner of Glenfaba reads the laws in Manx. 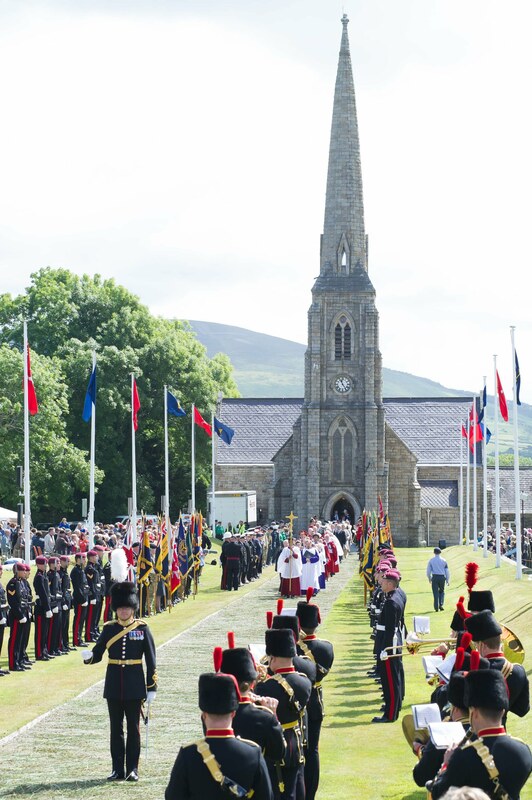 The main ceremonies of the day take place on Tynwald Hill, known in the Manx language as Cronk-y-Keeillown, or the Hill of the Church of John, in the village of St John’s. This mound is said to include soil from all 17 of the Island’s parishes. 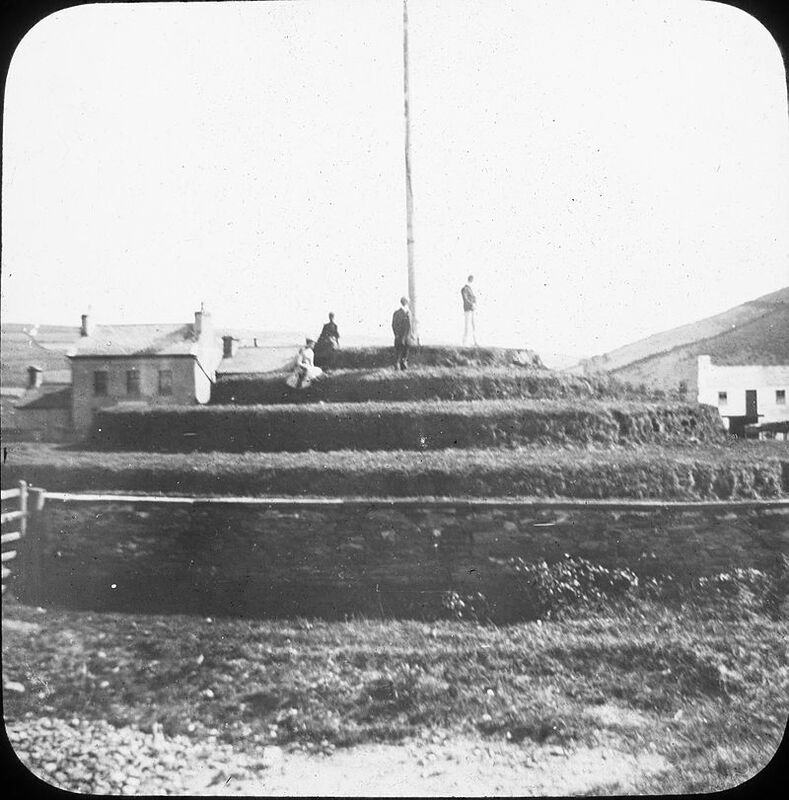 The mound, approximately 12 feet (3.7 meters) in height, includes four circular platforms, which are of successively decreasing size, thereby giving Tynwald Hill a somewhat conical shape. The ceremony of proclaiming laws on Tynwald Hill is traceable to the Norse practice of making public proclamations from mounds: Iceland, for example, once used the Lögberg (Law-Rock or Law-Hill) for the same purpose. The origins of the man-made Tynwald Hill are unclear, but it existed by the end of the 14th century. It was used in 1393 for the inauguration of Sir William le Scrope, and again in 1408 for the inauguration of Sir John Stanley, as Lords of Mann. Its first recorded use for the promulgation of laws dates to 24 June 1417, when Sir John Stanley presided. The Lieutenant Governor, together with the Sword-Bearer and the officers and members of the Legislative Council, occupy the highest level of the Hill; officers and members of the House of Keys occupy the next level. Other officials are accommodated on the lower levels and at the foot of the mound. A tent covers the top platform. The flag of the Isle of Man flies from the flagpole except when the British Sovereign presides, when the Royal Standard flies. After the Royal Anthem is sung, the First Deemster and Clerk of the Rolls, upon the instruction of the Lieutenant Governor, directs the Coroner of Glenfaba to “fence the Court”. The coroner accomplishes the task by declaring, “I fence this Court of Tynwald in the name of our most gracious Sovereign Lady The Queen. I charge that no person do quarrel, brawl or make any disturbance and that all persons do answer to their names when called. I charge this audience to witness this Court is fenced. I charge this audience to witness this Court is fenced. I charge this whole audience to bear witness this Court is now fenced.” Yn Lhaihder (the Reader) then repeats the same words in Manx. After the Court is fenced, the coroners appointed for the coming year take the oath. The Coroners of the six sheadings ascend the Hill in order of precedence, commencing with the Coroner of Glenfaba, followed (in a clockwise direction around the Island) by the Coroner of Michael, the Coroner of Ayre, the Coroner of Garff, the Coroner of Middle and the Coroner of Rushen. The First Deemster administers the oath to the kneeling coroners: “By that book and by the holy contents thereof and by the wonderful works that God hath miraculously wrought in heaven above and in the earth beneath in six days and seven nights, you shall, without respect of favour or friendship, love or gain, consanguinity or affinity, envy or malice, well and truly execute the office of coroner for each sheading to which you have been appointed for the ensuing year. So help you God.” The phrase “wonderful works that God hath miraculously wrought … in six days and seven nights” alludes to the Book of Genesis. The Coroners then receive ceremonial staves from the Lieutenant Governor. After the Coroners take the oath, the Lieutenant Governor states, “Learned deemsters, I exhort you to proclaim to the people in ancient form such laws as have been enacted during the past year and which have received the Royal Assent.” Each law is promulgated by the First Deemster in English and by the Second Deemster in Manx. The deemsters state the title, and a brief description of the effects, of each act. For example, on Tynwald Day in 2003, one Act was promulgated with the words “Transfer of Deemsters’ Functions Act 2003, which transfers certain functions of the deemsters to the Treasury.” If an Act of Tynwald is not promulgated within 18 months of receiving the Royal Assent, it ceases to remain valid. Once the deemsters promulgate the laws, individuals may present petitions for the redress of grievances. Petitions are presented at the foot of Tynwald Hill to the Clerk of Tynwald, who conveys them to the Lieutenant Governor. The petitions are then referred to a committee of Tynwald. Thereafter, after the singing of the first verse of the National Anthem, the Deputy Chief Constable of the Isle of Man Constabulary calls the participants individually off the Hill and they proceed to the Chapel. Tynwald then reconvenes in the Chapel. While Tynwald conducts substantive business in Douglas, it only participates in the captioning ceremony at St John’s. During the ceremony, the Lieutenant Governor, the President of Tynwald and the Speaker of the House of Keys use quills to sign certificates documenting the promulgation of the laws. Once the captioning of the acts has concluded, the Lieutenant Governor and the Legislative Council withdraw, leaving members of the House of Keys for a session of their house. If there are any bills that have not completed all of their stages in the House of Keys, a member moves “That all Bills and other business before the House remaining unfinished at this date be suspended and continued at the same stage at the first sitting of the House in the next legislative year.” This pro forma motion is approved by a voice vote; the House of Keys then adjourns. Even if there remains no unfinished business before it, the House of Keys still meets, but no motion is made, and adjournment is immediate. After Tynwald Day, Tynwald Court returns to Douglas for three further sittings, normally held on the Tuesday, Wednesday and Thursday following Tynwald Day. 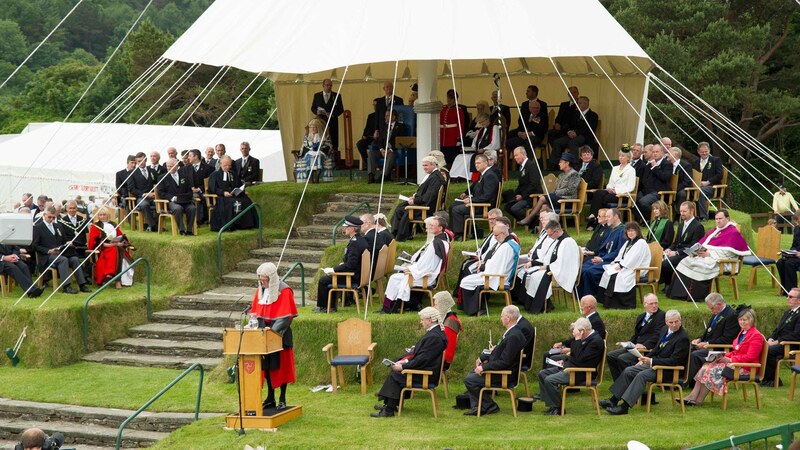 If, however, Tynwald Day falls on a Monday, the sittings are not held until the following week. Following these sittings, Tynwald adjourns for the summer, not reconvening until October. Traditionally, Tynwald Day was also marked by a fair and market; these customs still continue. In recent years, the Tynwald Settings Enhancements Sub-Committee has introduced several other forms of celebration. Since 2000, the week of Tynwald Day has been commemorated as Manx National Week. Concerts are held in the evening; at the conclusion, the Manx national anthem is played, and a fireworks display is staged. Giar ny puddasyn myn. Cur eeym er claare as lhieen eh lesh puddasyn as eeym ny-vud. Cur y bainney as ushtey er, coodee harrish lesh eayst dy arran-giare, as aarlee ayns oghe braew. Cut the potatoes into small thin pieces, butter a pie dish, fill with layers of potatoes, and pieces of butter, until all are used, adding a little pepper and salt to each layer. 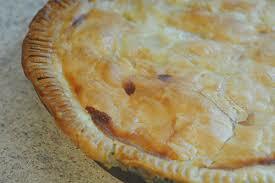 Pour over the milk and water, put an ordinary pie crust on top and bake in a moderate oven. Given that this is a Lenten dish, it is not especially suitable for a festive occasion, but would work as a side dish. I also have a recipe for Manx haggis which I like, but may not appeal to many. Furthermore, the ingredients are hard to get nowadays. 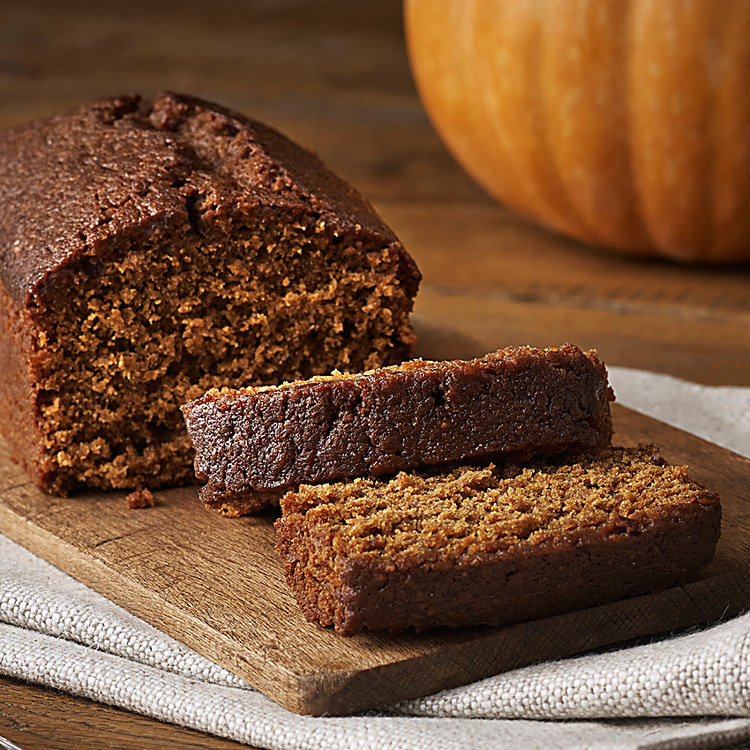 There is this Manx recipe for gingerbread which is very good. It makes a really moist cake which should be eaten quickly (straight out of the oven is good). Don’t worry about the fact that the raw dough is quite runny, but make sure you check the gingerbread with a toothpick after an hour to make sure it is cooked through. A toothpick will not come out completely clean, but it should not be wet. 3 unnsyn dy smarrey muck. 4 unnsyn dy shugyr dhone. 1 naggin dy vainney millish. 2 lane-spein-tey dy jinshar beihllt. 1 lane-spein-tey dy phoodyr fuinney. 1 ny 2 dy oohyn. 3 oz. suet, dripping, or lard. Mix the dry ingredients together, melt the dripping and syrup in a pan. Beat the eggs well. Mix all well together. Pour the mixture into a large dripping pan. Bake in a moderate oven for one hour. The 1st of May is a global celebration in one guise or other. I’ve already dealt with 2 important celebrations, International Workers’ Day (throughout Europe, Asia, South America, and beyond) http://www.bookofdaystales.com/international-workers-day/ and May Day which is mostly an English custom http://www.bookofdaystales.com/may-daymay-morning/ . It is also Walpurga’s Day which is celebrated in Germanic countries, typically more on the Eve than the day itself http://www.bookofdaystales.com/walpurgas-nightmay-eve/ . Now it’s the turn of Celtic traditions. Beltane was not historically associated with an exact date, but in modern times it has been pegged specifically to May 1. As always, there’s a great deal of nonsense written about the nature of Beltane historically, with precious little in the way of primary sources to back it up. Romantic, and wishful, speculation always trumps proper historical method, largely because people have a (bad) habit of believing what they want to believe. Having fun in whatever way you want is fine with me. I’d just prefer that you leave historical justification out of the picture. Here is what is reasonably certain. In Irish Gaelic, the festival is usually called Lá Bealtaine (“day of Beltane”) while the month of May is Mí Bhealtaine (“month of Beltane”). In Scottish Gaelic, the month is called (An) Cèitean or a’ Mhàigh, and the festival is Latha Bealltainn. Sometimes the older Scottish Gaelic spelling Bealltuinn is used. In modern Scottish Gaelic, Latha Buidhe Bealltainn or Là Buidhe Bealltainn (“the yellow day of Beltane”) is used to describe the first day of May. This term Lá Buidhe Bealtaine is also used in Irish and is translated as “Bright May Day”. Despite more fanciful etymologies of recent years, it is commonly accepted that the Old Irish word Beltaine is derived from the conjectured archaic Celtic *belo-te(p)niâ, meaning “bright fire”. The element *belo- is probably cognate with the obsolete English word “bale” (as in bale-fire) meaning “white” or “shining.” Middle English “bale” comes from Old English bǣl (“funeral pyre”) which derives from Proto-Germanic *bēlą (“pyre”), from Proto-Indo-European *bʰel- (“to shine; gleam; sparkle”). Old Norse bál is also a cognate and may have been the direct source for the English word via Norse invaders. The most important point from all of this is that Beltane is a FIRE festival. 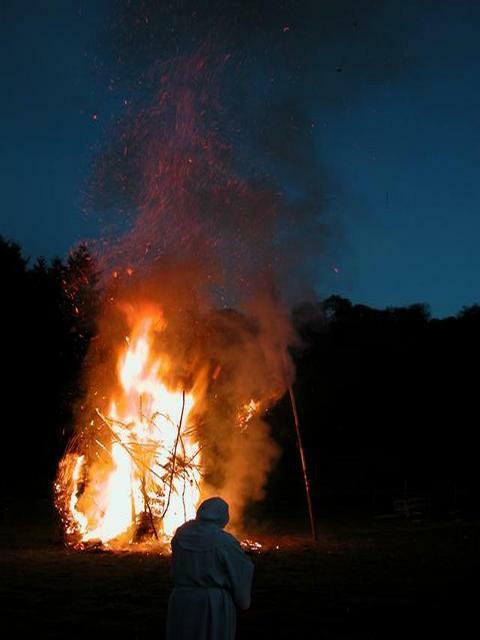 The best historical documentary evidence of the Celtic celebration of Beltane comes from Ireland, Scotland, and the Isle of Man, but something akin to it has been noted in Wales, Cornwall, and Brittany. Beltane in pastoral communities is associated with the beginning of the summer season when the animals of the community were driven up into summer pasture. The reverse traditionally occurred on Samhain (~ November 1) when they were driven back down to the village for winter. Because timing was determined by climate and not by the weather, the exact date varied. 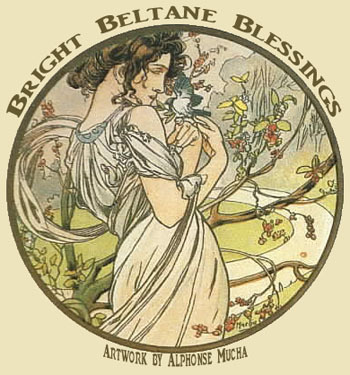 In solar terms, Beltane is approximately a cross-quarter day – that is, in Northern latitudes, about halfway between the vernal equinox, and the summer solstice. For the druids used to make two fires with great incantations, and to drive the cattle between them against the plagues, every year. I don’t trust this statement for one minute. What did early modern chroniclers actually know about druid customs that had died out a millennium earlier? In fact, we know virtually nothing about druids anywhere in the British Isles, but there is no end of idle speculation. It’s possible also that Beltane bonfires were a conscious revival in the 18th and 19th centuries based on these old MSS, rather than the continuation of an ancient tradition. In the 19th century, the ritual of driving cattle between two fires was documented in parts of Ireland and Scotland. Sometimes the cattle would be driven around a single bonfire or be made to leap over flames or embers. The people themselves would do likewise. In the Isle of Man, people encouraged the bonfire’s smoke to blow over them and their cattle. Subsequently people would daub themselves with the fire’s ashes and sprinkle it over their crops and livestock. Burning torches from the bonfire would be taken home, where they would be carried around the house or boundary of the farmstead and would be used to re-light the house’s fire which had been doused the night before. Food could also be cooked at the bonfire. In 1769, Thomas Pennant wrote that, in Perthshire, a caudle made from eggs, butter, oatmeal and milk was cooked on the bonfire. Some of the mixture was poured on the ground as a libation. Everyone present would then take an oatmeal cake, called the bannoch Bealltainn or “Beltane bannock”. A bit of it was offered to the spirits to protect their livestock (one bit to protect the horses, one bit to protect the sheep, and so forth) and a bit was offered to each of the animals that might harm their livestock (one to the fox, one to the eagle, and so forth). Afterwards, they would drink the caudle. According to several 18th century writers, who may or may not be reliable sources, in parts of Scotland there was another ritual involving the oatmeal cake. The cake would be cut and one of the slices marked with charcoal. The slices would then be put in a bonnet and everyone would take one out while blindfolded. According to one writer, whomever got the marked piece would have to leap through the fire three times. According to another, those present would pretend to throw him into the fire and, for some time afterwards, they would speak of him as if he were dead. The use of yellow flowers such as primrose, rowan, hawthorn, gorse, hazel, and marsh marigold as garlands was a common Beltane custom, analogous to customs throughout Europe. These were placed at doorways and windows at Beltane in 19th century Ireland, Scotland, Cornwall, and the Isle of Man. Sometimes loose flowers were strewn at the doors and windows and sometimes they were made into bouquets, garlands or crosses and fastened to them. They would also be fastened to cows and equipment for milking and butter making. 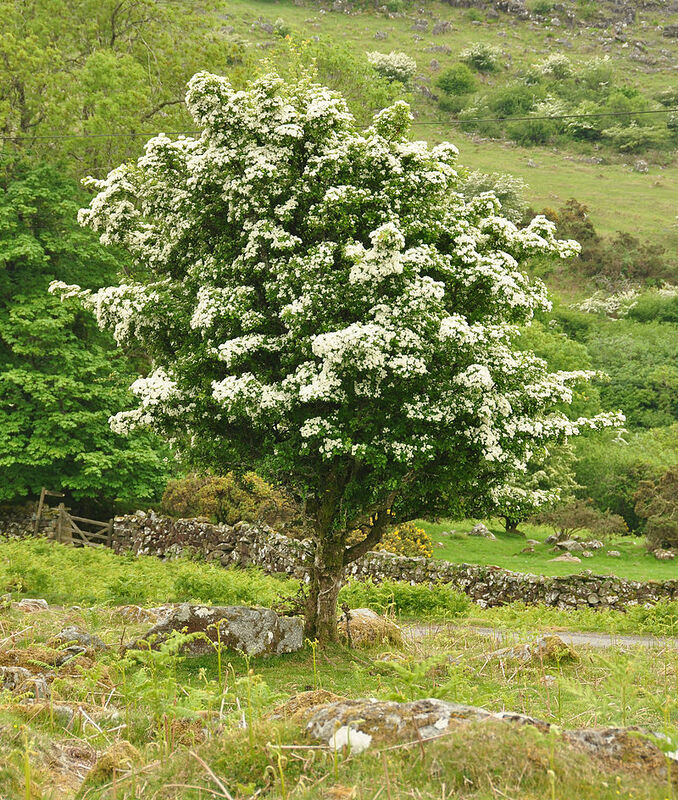 The May Bush was a common custom in parts of Ireland until the late 19th century. This was a small tree or branch—typically hawthorn, rowan or sycamore—decorated with bright flowers, ribbons, painted shells, and so forth. There were household May Bushes (which would be placed outside each house) and communal May Bushes (which would be set in a public spot or paraded around the neighborhood). In Dublin and Belfast, May Bushes were brought into town from the countryside and decorated by the whole neighborhood. Each neighborhood competed for the most well-decorated tree. A certain amount of rowdiness associated with this custom led to the May Bush being outlawed in Victorian times. The practice of decorating a May Bush with flowers, ribbons, garlands and bright shells is found among the Gaelic diaspora, most notably in Newfoundland. 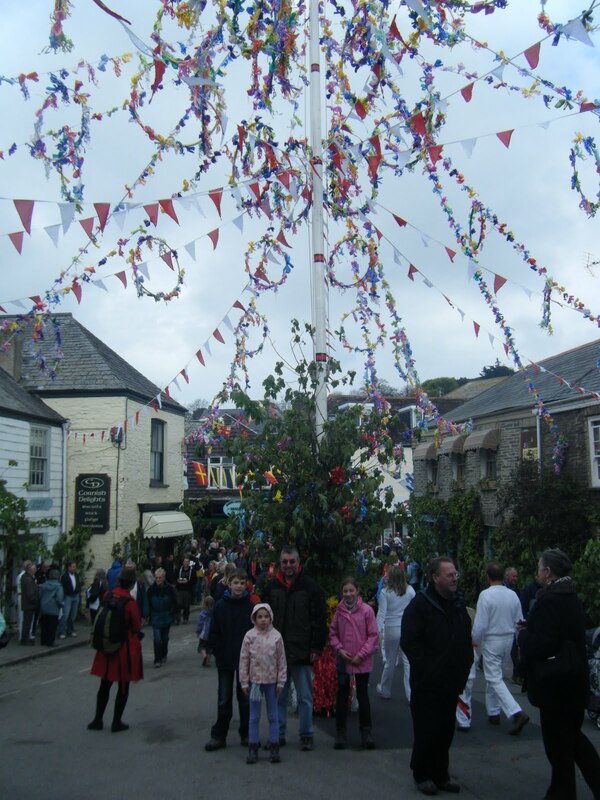 May garlands are a part of the Cornish May 1st celebrations in Padstow. On the evening of the Eve of May the town is thoroughly decorated with flowers, green bowers, and bunting. 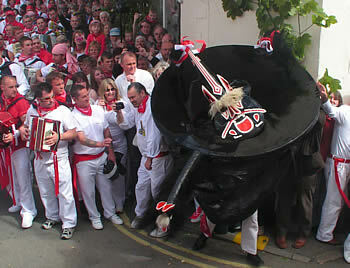 On May 1st there are two processions through town accompanying their ‘Obby ‘Oss – a unique custom of unknown origins. In the early part of the 20th century it was a very obscure event. But it was popularized by folklorists mid-century so that it is now a gargantuan tourist attraction, laden with the usual nonsense about ancient pagan origins despite the fact that the earliest reference to an ‘Obby ‘Oss in Padstow is 1803. Holy wells were often visited at Beltane, as well as at Imbolc and Lughnasadh. Visitors to holy wells would pray for health while walking “sunwise” (moving from east to west) around the well. They would then leave offerings; typically coins or clooties (cloths). The first water drawn from a well on Beltane was seen as being especially potent, as was Beltane morning dew. It could (theoretically) be rolled in or collected in a jar, left in the sunlight, and then filtered. You might notice my skepticism. Ever tried collecting dew in a jar? Most Beltane customs died out a long time ago and in many locations traces are seen only in place names and a few landmarks. There are a number of place names in Ireland containing the word Bealtaine, indicating places where Bealtaine festivities may have once been held. It is often Anglicized as Beltany. 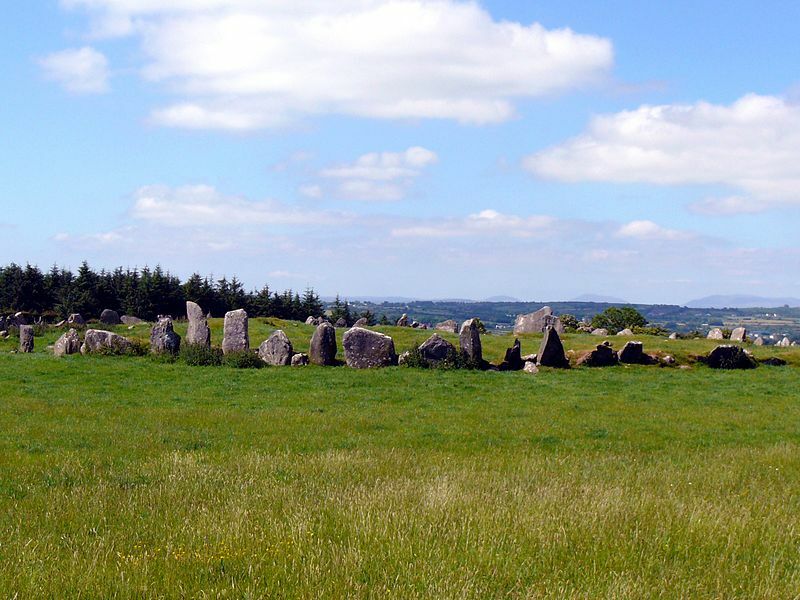 There are three Beltanys in County Donegal, including the Beltany stone circle, and two in County Tyrone. In County Armagh there is a place called Tamnaghvelton/Tamhnach Bhealtaine (“the Beltane field”). Lisbalting/Lios Bealtaine (“the Beltane ringfort”) is in County Tipperary, while Glasheennabaultina/Glaisín na Bealtaine (“the Beltane stream”) is the name of a stream joining the River Galey in County Limerick. I suggest that you play around with the idea of oatcakes and caudle on this day since they are so commonly mentioned in old sources. They both come in kaleidoscopic variety in the Celtic world. 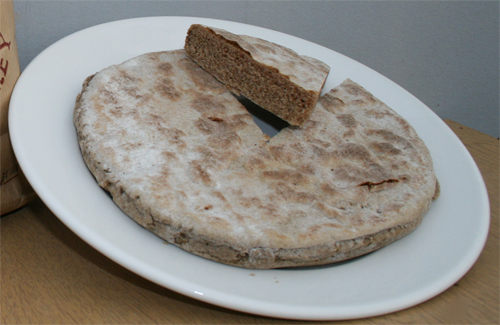 The traditional Scottish oatcake or bannock was a heavy, flat cake of unleavened barley or oatmeal dough formed into a round or oval shape, then cooked on a griddle or, before the 19th century cooked on a bannock stone, a large, flat, rounded piece of sandstone, placed directly on to a fire, then used as a cooking surface. Most modern bannocks are made with baking powder or baking soda as a leavening agent, giving them a lighter texture. The Oxford English Dictionary cites the earliest use of the word “caudle” in 1297. The earliest surviving recipe, from 1300–1325, is simply a list of ingredients: wine, wheat starch, raisins, and sugar to “abate the strength of the wine”. In a description of an initiation ceremony at Merton College, Oxford in 1647, caudle is described as a “syrupy gruel with spices and wine or ale added”. Another recipe from the late 14th century has more ingredients and more details on the cooking procedure: “mix breadcrumbs, wine, sugar or honey, and saffron, bring to a boil, then thicken with egg yolks, and sprinkle with salt, sugar, and ginger.” A 15th-century English cookbook includes three caudle recipes: ale or wine is heated and thickened with egg yolks and/or ground almonds, then optionally spiced with sugar, honey, saffron, and/or ginger. This is one version of caudle you can make without much effort. Just be sure to keep an eagle eye on the pot; it burns without much effort also !! This recipe is for one serving, but can easily be multiplied. 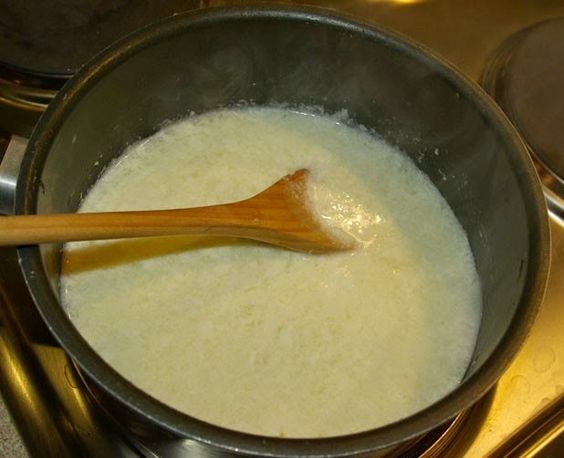 Heat the milk in a pan with the oatmeal and a pinch of salt. Bring to a boil, stirring with a wooden spoon, then turn down the heat and simmer until it starts to thicken. Whisk in the eggs, plus honey and nutmeg to taste and simmer for about five minutes, constantly stirring to avoid sticking. Remove from the heat and stir in whisky or ale in the quantity you want. Serve hot (“caudle” means “hot”) in mugs, or, if you prefer, you can pour it over a bannock as a dessert. Hop-tu-Naa (and Samhain) marks the turning of the year from the summer season to the winter season, and so has some of the feeling of New Year’s Eve about it. For modern Hop-tu-Naa, children dress up and go from house to house with the hope of being given sweets or money, much like Halloween. 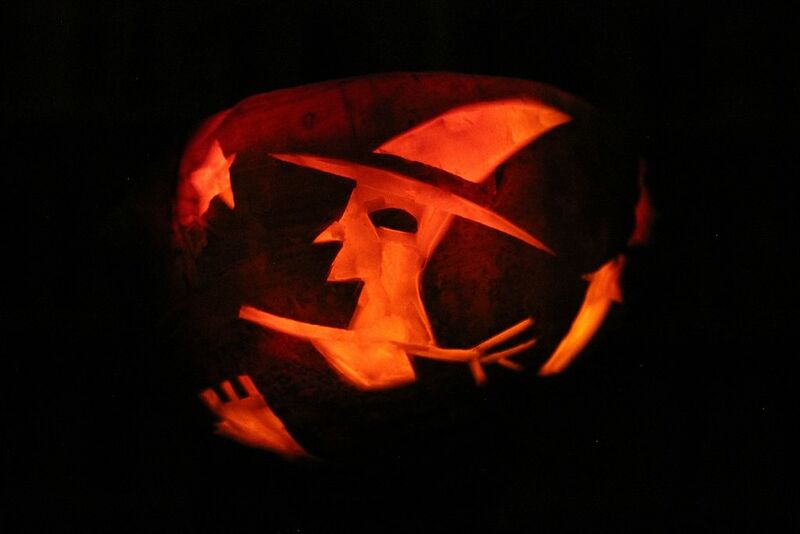 The children carry carved turnip lanterns (which are known as “moots” by the Manx) and sing Hop-tu-Naa songs. 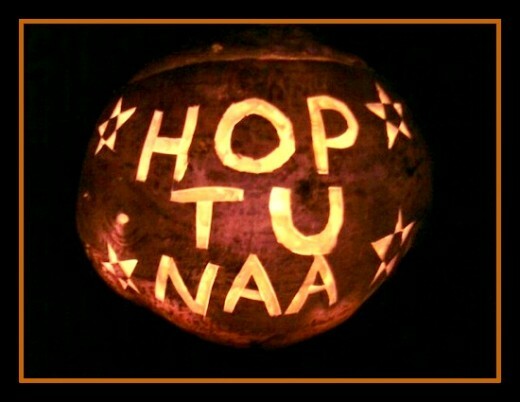 There are regional varieties of how turnips should be carved for Hop-tu-Naa, with variations focusing on which way up the turnip is and the nature of the decorations. 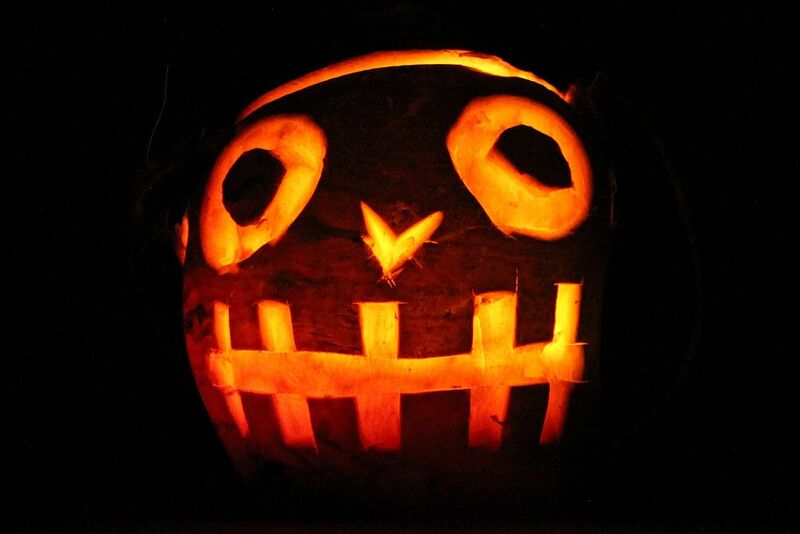 It is believed that turnip-lanterns do not date earlier than the start of the 19th century because turnips were not introduced until the end of the previous century. In the past children would bring the stumps of turnips with them and batter the doors of those who refused to give them any money. This practice appears to have died out. Some of the older customs on the Isle of Man (and elsewhere in the Celtic world) are now attached to the January New Year. Hop-tu-Naa used to be a time for prophesying, weather prediction, and fortune-telling. Last thing at night, the ashes of a fire were smoothed out on the hearth to receive the imprint of a foot. If, next morning, the track pointed towards the door, someone in the house would die, but if the footprint pointed inward, it indicated a birth. A cake was made, called Soddag Valloo or Dumb Cake, because it was made and eaten in silence. Young women and girls all had a hand in baking it on the red embers of the hearth, first helping to mix the ingredients, flour, eggs, eggshells, soot, and salt, and kneading the dough. The cake was divided up and eaten in silence and, still without speaking, all who had eaten it went to bed, walking backwards, expecting and hoping to see their future husbands in a dream or vision. The future husband was expected to appear in the dream and offer a drink of water. Another reported means of divination was to steal a salt herring from a neighbor, roast it over the fire, eat it in silence and retire to bed, or to hold a mouthful of water in the mouth and a pinch of salt in each hand listening to a neighbor’s conversation. The first name mentioned would be that of a future spouse. As with many calendar customs, there’s no way of knowing now how common or widespread such systems of divination were. Many groups of people continue the tradition of singing “around the houses” with turnip lanterns. 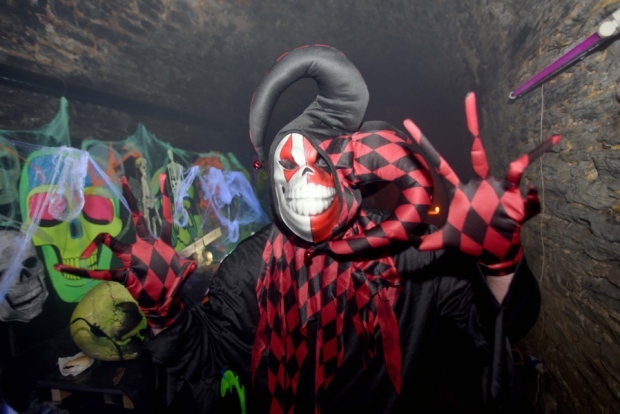 In addition to this, many Hop-tu-Naa events take place across the Isle of Man each year, most of which include competitions for turnip carving and the singing of traditional songs. Manx National Heritage sponsors annual events at various locations. 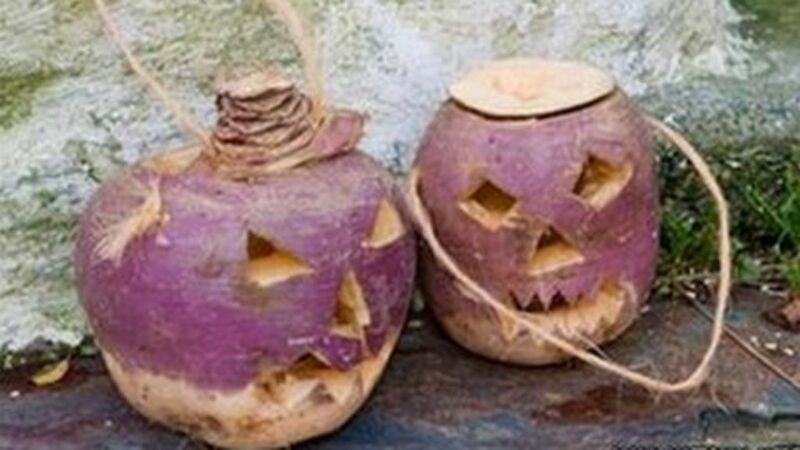 The National Folk Museum at Cregneash hosts an event to teach the traditional Hop-tu-Naa song and help people to carve turnips. 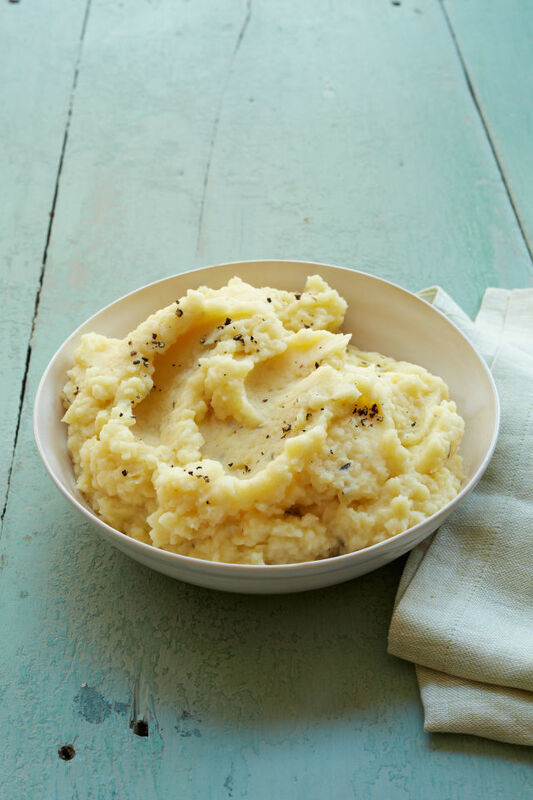 Traditional food for Hop-tu-Naa includes mrastyr – potatoes, parsnips, and fish mashed up with butter. Any leftovers from this evening meal would be left out with crocks of fresh water for the fairies. Toffee would also be made, with just sugar and water, as a communal activity on the evening of hop-tu-naa. My sister and I sometimes made basic sugar toffee when we were kids. I’ll describe that in another post – some time. Let’s start, instead, with mrastyr. In fact let’s begin by breaking it down a little. 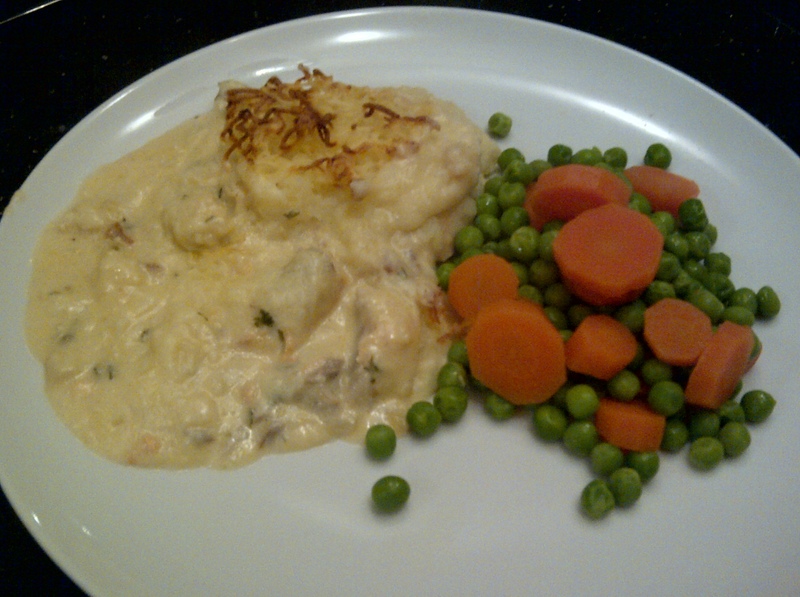 A mix of flaked fish and mashed potato is a common, old fashioned, British fish “pie” which I like a great deal and make quite often. There’s nothing much to it. The following amounts are for example only, and are meant to give approximate ratios. I don’t measure anything. Begin by peeling, dicing, and poaching about 1 lb of potatoes until they are very soft. At the same time poach ½ lb of firm fish until they are just cooked and will flake easily. Cod or salmon work well. When I make this dish in England I go to a fishmonger’s and buy their fish scraps (that is, trimmings) because they are relatively cheap and often have a good selection of quality fish which are the leftovers from cutting fillets. Drain the potatoes and mash them with about 4 oz of butter. Then flake the fish, making sure that it retains some texture. Mix the fish in with the mashed potato and place it all in a casserole. Dot the top with butter and place in a hot oven (450°F) until the top is crisp and golden – about 20 minutes. Now let’s talk about Manx variations. First, you can make a mash of equal proportions of potatoes and parsnips (or turnips) – same plan of action. Peel the vegetables, dice them, and poach them in water until they are very soft. Then drain them and mash them together with butter. This combination is a nice change from plain mashed potato. Freshly ground black pepper and chopped fresh parsley make a good addition. All right . . . now to mrastyr. I’ve never made it, but the idea should be clear. I’d go with 1 lb each of potatoes, parsnips, and firm fish. Make a parsnip/potato mash and fold in flaked, poached fish. Place in a casserole, dot with butter, and bake until the top is golden. You’ll figure it out. I wouldn’t add much in the way of seasoning. This is meant to be a simple dish, and it’s easy to mask the delicate flavors of the vegetables and fish. Butter is really all you need.